Please find the PVG Newsletter Issue 02 from the following link. Thanks. It is with the strong support from the PVG that has added to the vibrant school environment in RGPS. It stems from a culture of trust between the parents and the school, and the common philosophy and goal that both share and desire – that every child matters and deserves to have the best opportunity to develop her talents and excel. This desire and trust has led to the PVG partnering the school in initiating, collaborating and/or carrying out different projects for the girls like the Character Development Programme (CDP) where songs and dance enliven the atmosphere. Contact Time Classroom for Arts and Crafts/games and books related to character building. CDP and CTC programmes are now incorporated into the curriculum. National Education projects like Racial Harmony week, Healthy lifestyle activities like Fruit & Vegetable Week, International Friendship Day are amongst the major events held yearly. Other projects include Interview Skills Workshop, Public Speaking Workshop, Mother Tongue Week, Mid-Autumn Celebrations, Family Science Club, Dads@RGPS and supporting of the different CCAs and many others! Over the years, the PVG has dedicatedly built and fostered, and continuing to do so, strong PARTNERSHIPS with the school and its staff, the School Advisory Committee (SAC) and Alumni through the alignment of its activities with the school’s mission, vision and strategic thrusts. And more importantly, we recognize that the PVG cannot exist without its members – the many parents who have given their time, talent and resources to help realize these projects! A one-time non-refundable membership fee of S$60 PER CHILD (based on S$10 per year for 6 years) for all Primary 1 students starting school in Year 2016 is applicable. The membership will be registered under the parent’s name and either one parent can be a member. The fee paid per child is valid throughout their 6 years in school with effect from 1st January 2016. For this nominal contribution, all RGPS parents will be kept informed via email and the web, the many activities that they can participate and/or play a part in. There will be term gatherings where parents get a chance to network and find out latest happenings in the school. This contribution helps defray some administrative costs incurred for the running of the PVG, maintaining the different communication platforms, hosting of our termly gathering for our members, parent volunteers’ welfare, conducting of Induction Sessions for all Phase 2B parents, Art Workshops for our parent volunteers in preparation for them to conduct the Contact Time Classroom Programme for our P1 & P2 girls as well as supporting events like Healthy Eating Week, Teachers’ Day celebrations, P6 Graduation party as well as subsidy of programmes for the benefit of our girls. We hope all parents can support with this nominal contribution that will help build the vibrant community in which you and your child will belong. Parent partnership is crucial in the educational environment. Volunteerism and involvement in your child/ren’s community not only means much to your child/ren, you will also grow with them, and develop as a person. Many PVG members who have come forward to actively participate in this partnership have found the experience enriching for them as parents to their children, as well as members of the RGPS and Singapore community. We therefore encourage you as PVG members to also come forward to and contribute to the building of a vibrant, caring and effective learning environment for all the children. Registration period for Phase 2B Parent Volunteer Scheme for children born between Jan 2nd 2011 to Jan 1st 2012 (both dates inclusive) is open. The closing date is 31st Dec 2015. 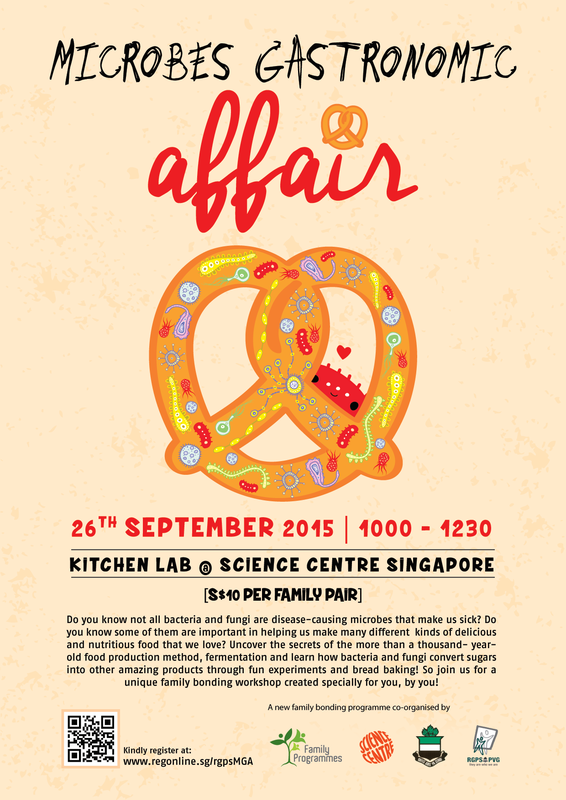 RGPS Family Science Club Workshop, “Microbes Gastronomic Affairs” @ Science Centre Singapore, 26 September 2015, is open for registration. You can start to register online by logging onto the event registration www.regonline.sg/rgpsMGA . Please note that the registration is accepted based on first come first serve basis, subject to availability of seats. For more details, please download the document here. 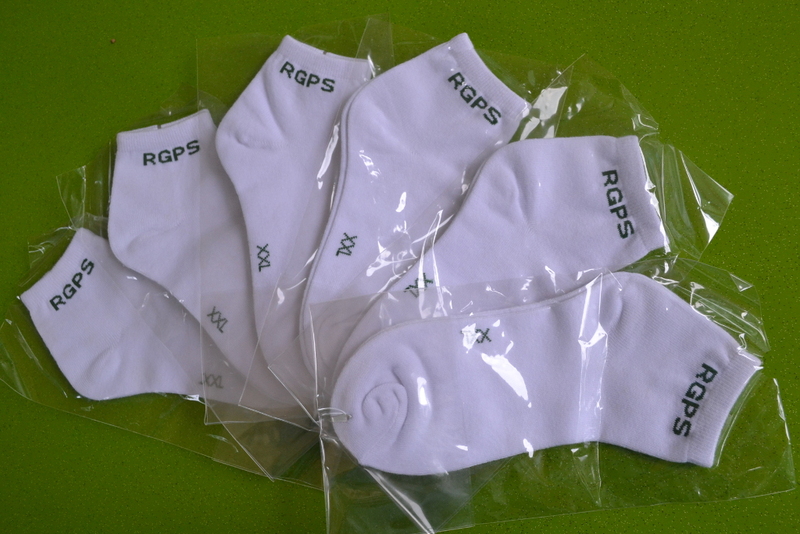 The RGPS socks and car decal are available at the school bookshop. The prices for the socks are $10 for 3 pairs and decal at $10 each. The RGPS PVG would like to invite you to our 6th Annual General Meeting (AGM) on Thursday, 27 March 2014 at 10.00am to 1.00pm. We need at least 30 PVG Members to attend the AGM in order to form a quorum. We need your support, so please mark your calendar, join us to attend and vote at the AGM! In conjunction with the AGM, we will also be holding an Election to elect a new PVG EXCO for Term March 2014 to March 2016, i.e. for the positions of a Chairperson, two Vice-Chairpersons, a Secretary and a Treasurer. We encourage you to come forward to serve and support your daughter(s). The PVG organises and runs a multitude of programmes for our children. Our numerous Regular Programmes include Contact Time-Art and Contact Time-Character Development & Cultures, as well as, our various Ad-Hoc Events including Fruits & Vegetable Day and Games Carnival & International Friendship Day. We could not have done it without you and the EXCO planning team. We need you to step forward to take up this leadership role to ensure that our children will continue to enjoy these excellent programmes. In concert with the AGM, we will also be organising a Parents’ Sharing Session regarding the Ministry Of Education’s (MOE) Direct School Admission – Secondary School (DSA-Sec) Application Process. The DSA-Sec Exercise was introduced by the MOE in 2004 and seeks to promote holistic education and provide students an opportunity to demonstrate a more diverse range of achievements and talents in seeking admission to a secondary school. It is an admission exercise to allow participating secondary schools to select some P6 students for admission to Secondary One. The selection will be based on their achievements and talents before the Primary School Leaving Examination (PSLE) results are released. We are in the process of engaging a few of our members to share their and their daughters DSA Application Process experience with you after the AGM session. I have attached the following documents for your perusal namely: AGM 2014 Agenda, AGM 2013 Minutes of Meeting and PVG EXCO for Term 2014-2016 Nomination Form. Please review the AGM 2013 Minutes of Meeting, as you will be asked to approve it at the upcoming AGM on Thursday, 27 March 2014. Regarding the PVG EXCO 2014-2016 Nomination Form, please fill in the name of your nominees with signatures of both proposer and seconder and drop it in the PVG Box at the General Office. Extra nomination forms are also available near the PVG Box. Please note that the deadline for nomination will be on Friday, 14 March 2014. Kindly note that the AGM is a PVG Members-only event and thus only PVG Members are allowed to attend and vote. These documents are private and confidential and for PVG Members’ eyes only. As Thursday, 27 March 2014 is around the corner and to facilitate lunch catering, the deadline for registration to attend the AGM and the Parents’ Sharing Session will also be on Friday, 14 March 2014. Confirmation email to verify receipt of your registration, will be send to you by Monday, 17 March 2014. Please register at the link below and kindly do not reply to this email to register for the AGM and the Parents’ Sharing Session. We appreciate your kind and enthusiastic support as always! We look forward to see you at the AGM on Thursday, 27 March 2014! Please support the PVG by attending and voting! Thank you!